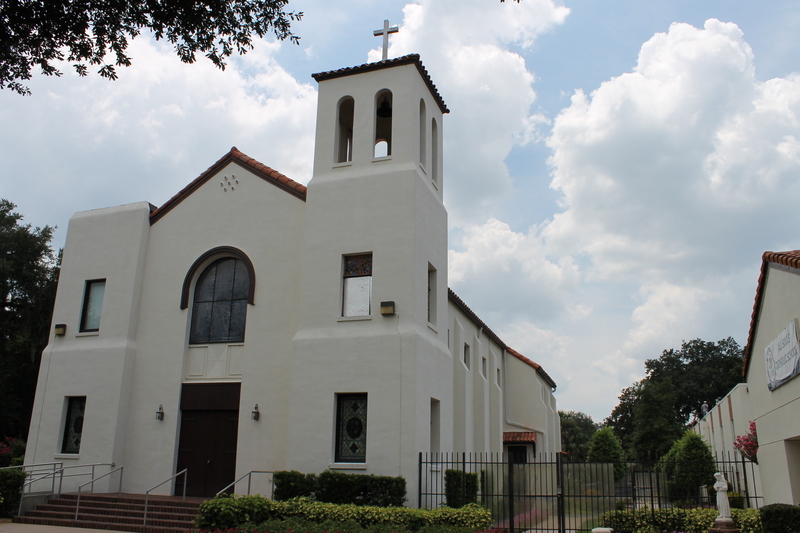 The All Souls Catholic Church, located at 800 South Oak Avenue in Sanford, Florida, in 2011. 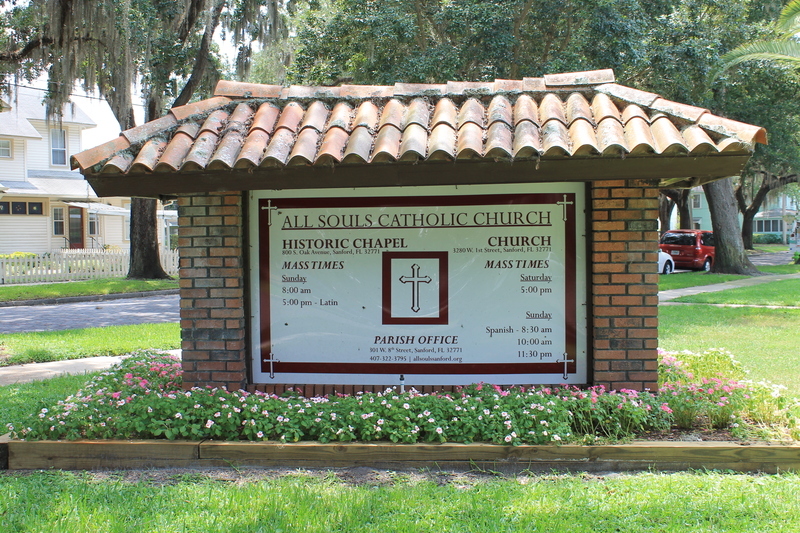 All Souls Catholic Church was founded by Father McFaul in 1882 and is one of the oldest Catholic parishes in Central Florida. 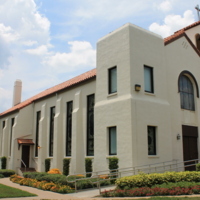 The original church building was completed in 1888, under the administration of the first missionary of the Diocese of Saint Augustine, Father Swembergh. The rectangular building was painted white, had four pillars in the front, and a gable roof. The church was destroyed by fire on January 25, 1932. Various testimonies and gossip surround the fire, offering inaccuracies to the date and cause of the incident. Because the building was destroyed during the Great Depression, parishioners struggled to rebuild the church. Following the fire, mass was held in a neighboring two-story structure built by the residing pastor, Father Patrick J. Bresnahan. 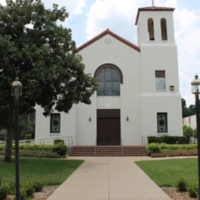 Within the span of five years, church members were able to rebuild All Souls Church, and offered the community a larger, more prolific edifice to house church services. 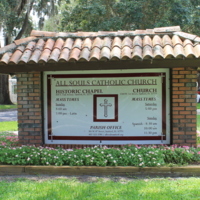 In 1951, the Catholic parish established the All Souls Catholic School, and staffed the academic institution with the first Sisters of Christian Charity to serve the State of Florida. The school was completed on September 7, 1954, and continued to add additional classrooms and activity spaces in 1960 and 1981. 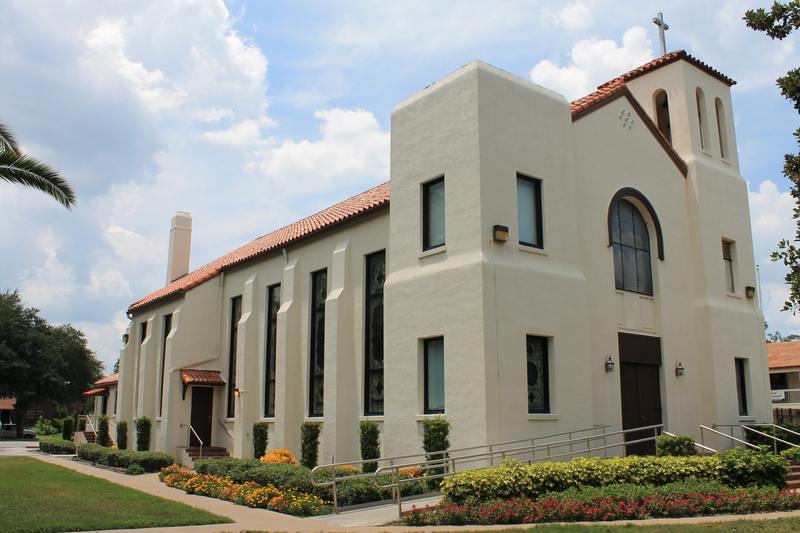 As of 2011, All Souls Catholic Church has expanded onto a 63-acre property located at 3280 West First Street. "History." All Souls Catholic Church. http://www.allsoulssanford.org/history. Peters, Kim Marie. 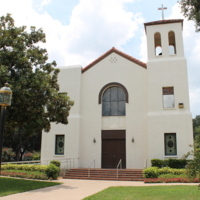 "All Souls Catholic Parish History." Orlando Memory. 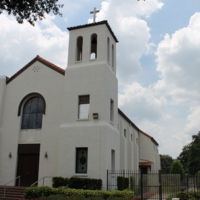 http://orlandomemory.info/memory/organization/all-souls-catholic-parish-history. Gannon, Michael. 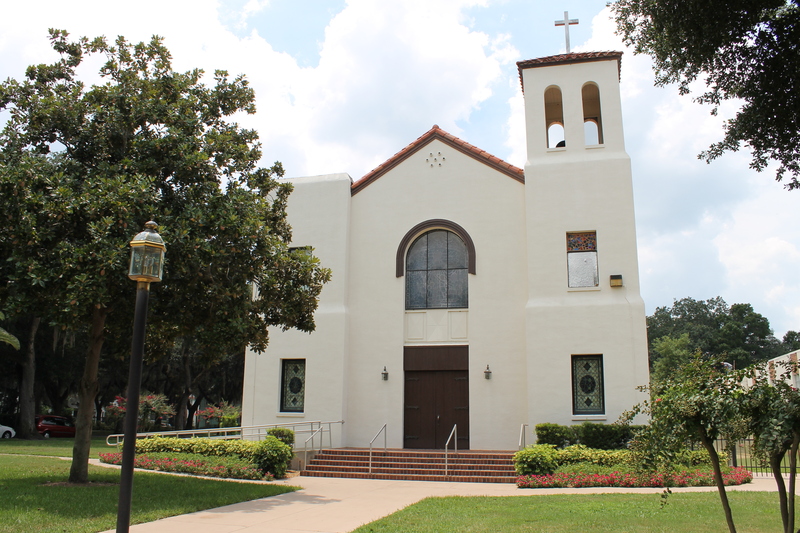 The Cross in the Sand: The Early Catholic Church in Florida, 1513-1870. Gainesville: University of Florida Press, 1965. MacDonald, Kathleen. 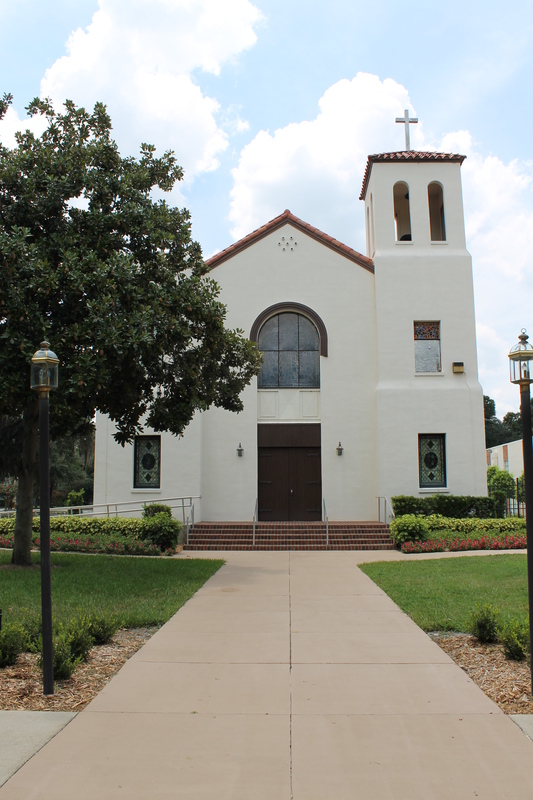 “All Souls Catholic Church Historic Chapel, 2011.” RICHES of Central Florida accessed April 22, 2019, https://richesmi.cah.ucf.edu/omeka/items/show/2237.